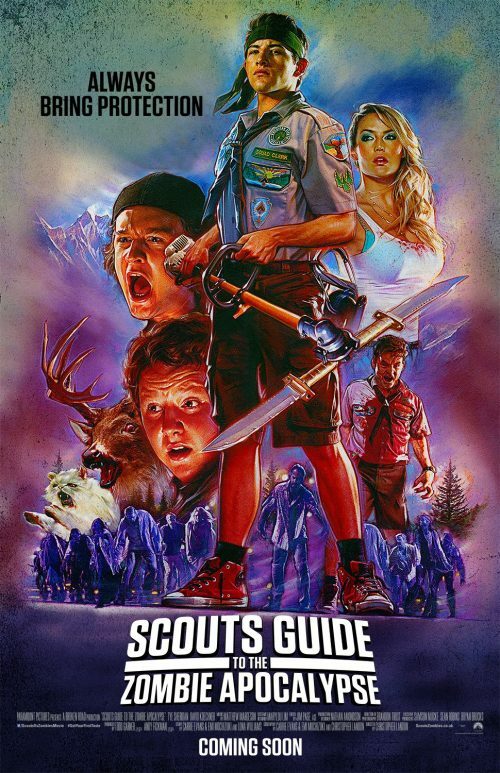 A new poster for the upcoming film that involves Scouts, Zombies and possibly the end of the world has arrived. It is very reminiscent of that type of film from 30 years ago. It also reminds me of one of the posters for the film Super 8. Zombie apocalypse? No problem – these three Scouts are here to save us all.